Paul A. Smith, PhD, Physics Educator at Coe College, has been recognized by Marquis Who’s Who Top Scientists for dedication, achievements, and leadership in physics. 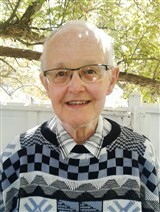 With more than 50 years of professional experience in his areas of expertise, Dr. Smith has served Coe College since 1964 as an assistant professor of physics, associate professor of physics, and full professor of physics, having held the latter role since 1981. Alongside his primary appointments, he served as a delegate to the Russian and Chinese physics departments in 1983 and was a national council member of the American Association of Physics Teachers from 1974 to 1985. Locally, Dr. Smith has served his community in a number of capacities, including as a member of the advocacy committee of the PATCH Project since 1993, a clerk of session of the Central Park Presbyterian Church since 1989, a delegate to East Iowa Presbytery since 1989, and a parliamentarian of the democratic center committee of Linn County since 1974. Previously, he was commissioner to general assembly of Presbyterian Church USA in 1992, secretary of the rules and nominations committee of several democratic conventions from 1974 to 1990, and secretary of the constitution revisions committee in 1974, 1978, and 1980. Likewise, he was secretary of the Iowa Democratic Party from 1974 to 1978. To prepare for his illustrious career, Dr. Smith pursued an education at Park College, earning a Bachelor of Arts in physics and philosophy in 1956. He followed this accomplishment with a Master of Arts in physics from Washington University in St. Louis in 1959. Soon thereafter, he completed a Doctor of Philosophy in physics from Tufts University in 1964. In recognition of his exceptional achievements, Dr. Smith was featured in the 23rd edition of Who’s Who in the Midwest, published in 1992. Married to Margaret Sue McCluggage with two daughters, he enjoys computer programming in his spare time.